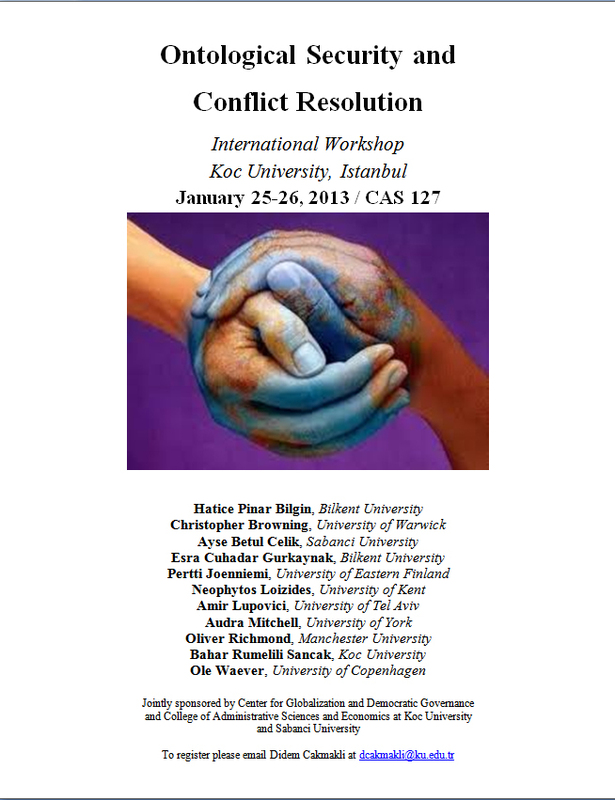 You are invited to the workshop, co-sponsored by Sabancı University and Koç University, to be held at Koç University on 25-26 January 2013. Please register by sending an e-mail address mentioned in the attached poster. If there will be enough participants, there will be a shuttle from Kadıköy to Koç University. If you would like to use the service bus, please send an e-mail to the faculty member A. Betül Çelik, who will then send you the information for the service.